Why do it? Many people carry bacteria called Staphylococcus aureus on their skin. This is particularly common in children and adults who suffer from eczema. Eczema is an itchy skin condition, often worsened by a bacterial infection. Staphylococcus aureus can contribute to the flaring of the eczema and to ongoing skin inflammation. Complete eradication of Staphylococcus aureus in patients with eczema is very difficult, however some therapies can reduce the number of organisms which live on the skin. The use of regular diluted bleach baths in people with Staphylococcus aureus infected eczema has been shown to effective and safe in reducing the number of skin infections and improving eczema control. 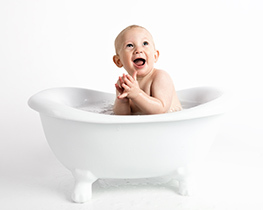 An eczema bleach bath can kill bacteria on the skin, reducing itching, redness and scaling. This is most effective when combined with other eczema treatments, such as medication and moisturizer. Fill the bath with tap water to the desired level using a standard-sized bucket. Count the number of buckets you use. Then mark your bath with tape so you don’t need to use the buckets again. Add 12 mL of bleach for every 10 litres of water (final bleach concentration of 0.005%). Let the patient soak in the bath for 10 minutes. 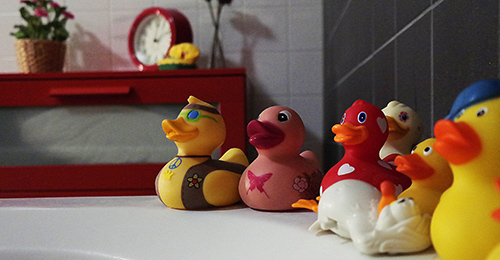 Wash the patient’s head and face with the bath water. You can immerse their head in the water as the concentration of bleach is very low and it will not cause any problems. Wipe away any crusting or weeping at the infected area while the patient is in the bath. Use a soft disposable towel (eg a Chux-type cloth) and throw it away afterwards. Do not rinse your child’s skin after the bath. Use old or white towels to avoid possible bleaching of coloured towels. Repeat the bleach baths as often as recommended by your health professional. Household bleach can sometimes cause a stinging or a burning sensation on the skin. The instructions outlined in this fact sheet are for a very diluted bleach bath, which means there is less risk of stinging happening. The final bleach concentration is lower than a swimming pool, which most people can safely swim in without damage to their skin or hair. If the patient does have stinging or irritation in the diluted bleach bath, rinse them off with plain water. Discuss this with your health professional before giving them another bleach bath. If the eczema starts to flare again, increase the frequency then wean off. Diluted bleach baths are safe and effective in reducing bacteria on the skin. Add 12 mL of bleach per 10 litres of bath water. Do not rinse the skin after a bleach bath. People who are sensitive to bleach or have allergic asthma may find that bleach or chlorine fumes can irritate their skin or respiratory system. Anyone thinking about incorporating a bleach bath into their own or their child’s eczema skin care routine should speak to a doctor or healthcare professional first.